Finally, something to wash down all the snacks I've been munching on. Bonus points because, I have absolutely no idea what it is! I bought this from the small European market in Cherry Hill, New Jersey. I drive past it every day, but I've only gone inside twice in all the years that it's been open. I wish I could pop in more often, but their parking lot is a nightmare. It's right on the highway, and I pass it around 5-6PM, so it takes AGES for the traffic to clear up enough for you to get out, but it's not like I don't have a HUGE pile of food waiting to be reviewed at home. Anyway, I picked this up a while back and from what I can tell, there is no English on the can at all. It's obviously a drink, but what kind of drink? Uhh...nope. The can didn't help, but Google did! 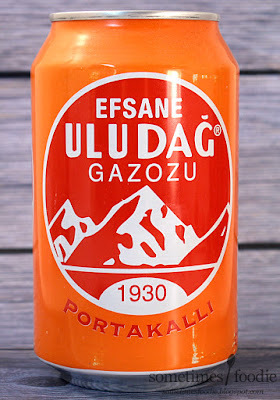 According to Google, this soda is Turkish! Pretty cool! I don't think I've ever reviewed a Turkish product before. I didn't want to research too much about it, because I wanted it's contents to be a surprise! 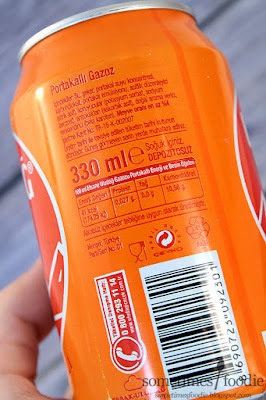 Judging by the can, and it's bright orange color, I'm guessing this is a citrus flavored juice, carbonated citrus juice, or orange soda. I can't tell from the design's context clue if this is carbonated or not, but this has got to be some kind of citrus flavor, right? I popped the top, and the soda inside was a bright orange. I was right! 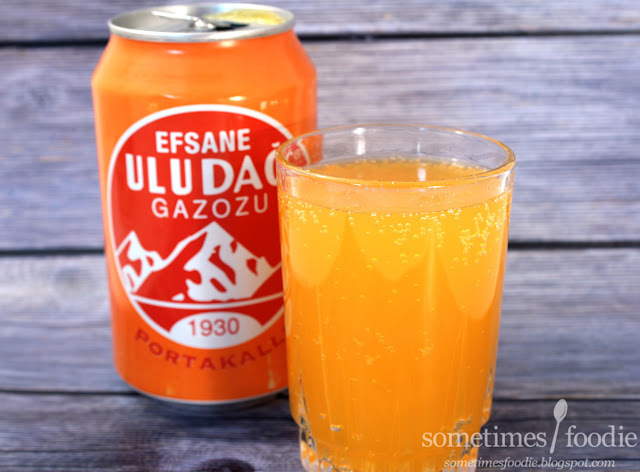 It seems to be just as carbonated as any other soft drink, and it looks just like all other orange sodas on the market, but it smells different. This one is extra zesty. I like it! 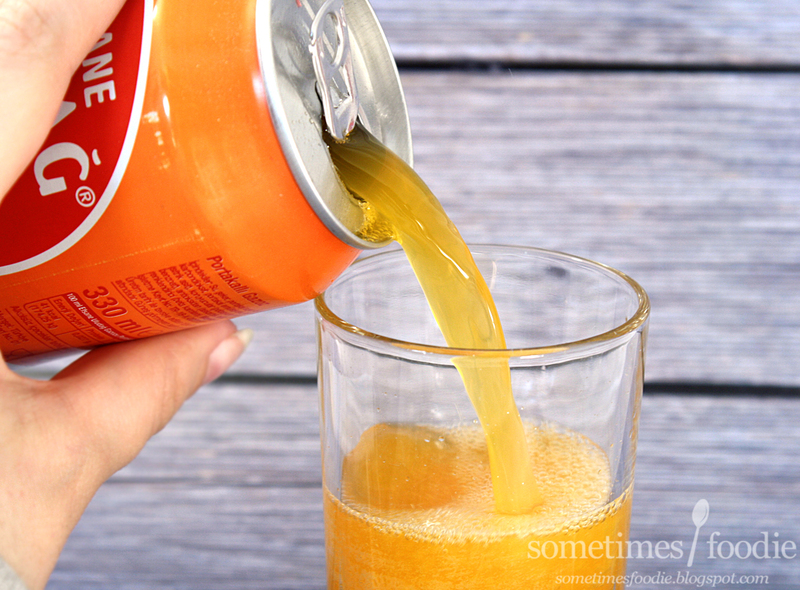 So, does it taste like normal, American, orange soda? Yes, and no. For the most part it is very similar. 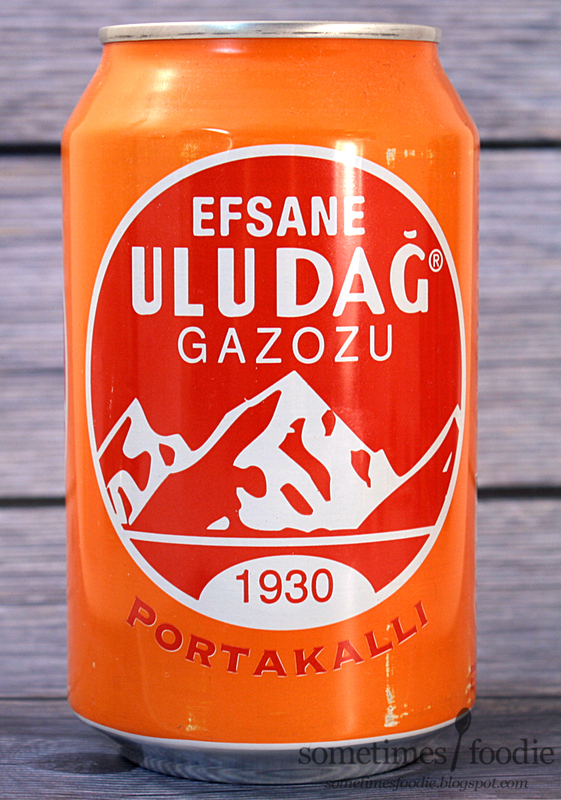 It's bright orange, it's very sweet, it's carbonated, but it's a little dryer, zestier, and tangier than normal. There are distinct hints of peel and rind that we don't get in American and Japanese sodas, and even though it isn't a night-and-day difference, I prefer this to the American orange sodas I've had. I would totally buy this again! Admittedly, this isn't a drastically different product from what we have here in the states, but it does have a slightly different flavor profile. This would be a great way to get people who are apprehensive about trying new things to try some foreign food, but it's not something I feel everyone around the world HAS to try. If you have the means, and the opportunity, give this a try! Reading the label, this has Beta Carotine for color, Orange Juice and orange emulsion (which would explain the rind flavor). Real sugar is the sweetener and natural orange flavor. All in all a much more natural orange soda compared to the Amrrican counterpart. I've had this before snd it is really good. Turkish is a second language for me, so fun to see this on your post today.